Harry Angel ran well to finish runner-up in the six-furlong G1 British Champions Sprint Stakes on soft ground at Ascot, UK, on Saturday, 20 October. The four-year-old colt was well away and raced a bit keenly before settling in fourth towards the stands’ side. Harry Angel, trained by Clive Cox and partnered by Adam Kirby, started to make his move two furlongs out and soon went second, throwing down the only challenge to all-the-way winner Sands Of Mali. It looked in the final furlong that he might get to the winner, but could make no impression in the closing stages, going down by a length. Harry Angel finished a length and a quarter ahead of the third Donjuan Triumphant in the 14-runner field. The winner’s time was 1m 14.21s. Clive Cox said: “He’s run an absolute blinder and I’m very pleased with him. He’s shown his true level today. “It’s been a frustrating year because he’s been a better horse at home all year, so to bring him here and show everyone else what we’ve been seeing – that he’s a proper, proper G1 horse – I’m very proud of the performance. 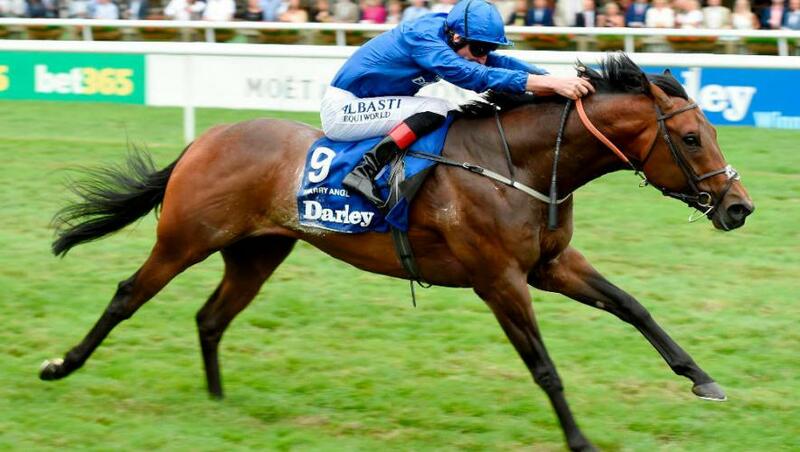 Adam Kirby added: “I’m proud of Harry Angel – he’s a superstar, isn’t he? It’s a shame to get beat but nice to end the season on a high. The ground here just blunts his gear-change so I feel a bit sorry for him.